Dr Tej Kumar Sharma a medical graduate holds MD (Physician), Dip- Cardiology, PGDHHM is the Chief Operating Officer, Eternal Hospital. 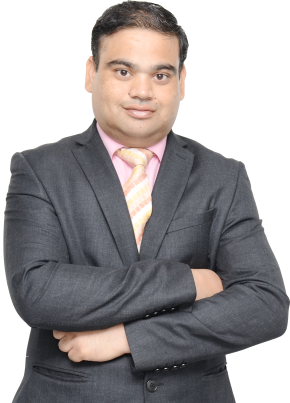 He brings with him more than 11 years of extensive experience in healthcare and operational delivery and having been associated with organizations of repute like Metro group of Hospitals. Dr. Tej Kumar has been instrumental in the initial project phase of Metro Jaipur. His core skills relate to large scale project management (Operations), quality management-Implementation of NABH, Strategy & Business Development, Healthcare Consultancy Projects in Public/ Community Health, Remote Access Health Service provisioning through Telemedicine, Monitoring & Evaluation of Health Program Initiatives through Quality Audits and Professional Training of healthcare professionals including Employee Retention Initiatives.